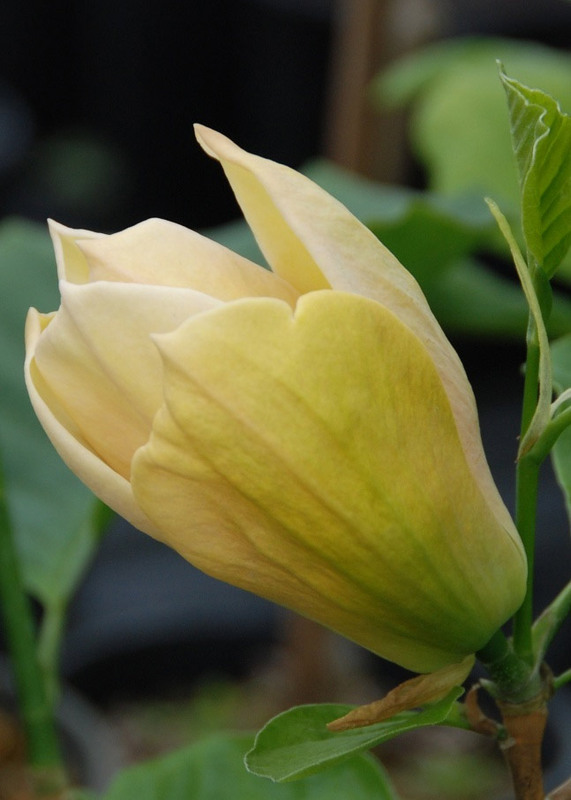 The Magnolia Daphne is a vivid yellow flowered Magnolia with dark green leaves. It could be argued that the Magnolia Daphne is the darkest yellow of all the Magnolia flowers but we are pacifists here and so if you tell us otherwise, we shall put our hemp covered hands up and not argue with you. Expect flowers around April to May and for them to be long lasting relative to other Magnolia. The Magnolia Daphne is that outstanding, it got the attention of the RHS (Royal Horticultural Society) and they gave it and AGM (Award Of Garden Merit). We are not sure if any money crossed hands or any undue influence was exerted to get this award but to date the RHS does seem to have a squeaky clean image. For those not in the know, the AGM means that compared to other Magnolias, this one is particularly outstanding for several reasons. The Magnolia Daphne was bred by Belgian Breeder Phillippe De Spoelberch by crossing Magnolia Miss Honeybee and Magnolia Gold Crown. Compared to other Magnolia, the Daphne is considered to show flowers at an earlier age. Considered to have an upright shape making it ideal for compact gardens and hardy down to minus 15 degrees centigrade which easily makes it suitable for the UK climate, especially with global warming on the way. Expect a final height of between 5-8 metres depending on local weather and soil conditions although over zealous gardeners with un-calibrated shears can have a serious effect on height, especially those that enjoy a tipple or three in the garden before pruning. The spread is also weather and soil dependant but you should get between 1 and 2 metres wide. The Magnolia Daphne may express a preferred position of close to the bar with a discount card however we have found best results are in a full sun position with plenty of shelter. Inside a bomb shelter with a UV lamp does now count. Light shade can be tolerated and try not to crowd them as they get leggy (not legless!) and will not flower so well. 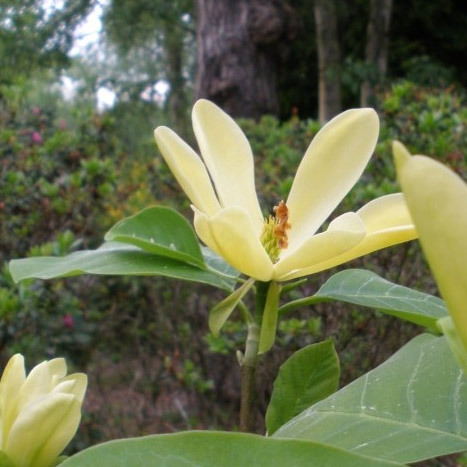 For best results try to protect Magnolia Daphne from extended periods of drought. Little and often is better than a whole water tanker once a year. Pick the spot where it will stay forever as they do not like being moved. The shallow roots will spread wider than the breadth of the tree so just be aware of that when you are picking a spot. Although the Magnolia Daphne is deciduous it will hold its leaves well into the Autumnal season and may experience wind damage so again, a sheltered spot is preferred. Considered to be a medium to slow growing tree/shrub. Fertile, moist, well drained, neutral to acid soil should give you best results and regular mulching will help the tree. This tree is supplied at a height of 1.25-2.00 metres in a 12 litre container for year round planting and better results than from either bare-root or rootballed stock.